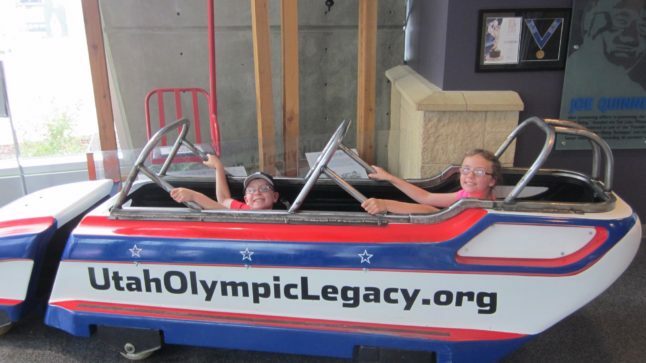 Olympic Wanna-be’s on the West coast: Salt Lake City is for you! East coasters can drive up to Lake Placid, but West coasters? You have your own olympic venue at SALT LAKE CITY. Similar to Lake Placid, SLC has geared all of its Olympic venues for public enjoyment. AND it has one of the hottest Apres-Ski setups around: a bright orange tent with the Veuve Cliquot logo at the base of the Deer Valley slopes. Flutes, bubbling over with champagne, are served on fur ottomans before glowing hearths. Here’s the scoop! 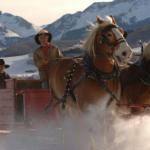 Ride the Comet Bobsled with a professional driver. Skate the “fastest ice on earth” at the indoor Olympic Oval. Nordic ski and tube at the Soldier Hollow Center (once a Native American encampment). Simulate ski jumping with the Extreme Zipline. And maybe best of all, you can hop right up off the valley floor, into the mountains, for some of the best Western powder skiing anywhere! Deer Valley was rated #1 in America. Get the Connect Pass which will give you 50-80% off of all the Olympic sites in town. SLC’s a bona fide city. So there are sights like the Mormon Tabernacle. And there’s a full nightlife– theater, comedy, magic – plus a happenin’ winter concert and festival scene. And it’s the West, so they’ve discovered (before the East coast, it seems) the Brewvies – wonderful Brew-n-Cinema nights! !